In this two-part interview we discuss the origin and development of our new best friend, Budii with Stephen Harley, our Chief Product Officer and Head of iiNet Labs. You can read the first part of the interview here. As an NBN-ready device, Budii will be able to take advantage of the super fast speeds the new network will provide. What does this mean for iiNet customers? A key factor in developing Budii, was that we needed to make sure that our customers are future-proof. Meaning that as new technologies come on board we don’t want to have to up-sell our customers to another piece of hardware, which is quite typical of technology telecommunications companies. With that in mind, we’ve created a dedicated NBN port at the back of Budii to assist customers with getting connected to the NBN. For example, those who are moving from ADSL to NBN or simply coming to NBN from day one – they’ll all be able to just plug straight in. All our installation guides and manuals have also gone through NBN Co for NBN certification. We want our customers to enjoy the benefits of the NBN as soon as it’s made available in their areas. Budii will be running Android, Google’s Linux-based operating system. Does the system provide any specific advantages? Going down the Android path was a very important consideration from day one. We wanted to keep an open access and open platform approach as much as possible. Not only can we provide our own applications and services but the system is also open to third party and joint venture opportunities as well as the creativity and ingenuity of individual developers. We’ve already seen the benefit of this approach within our existing communities. 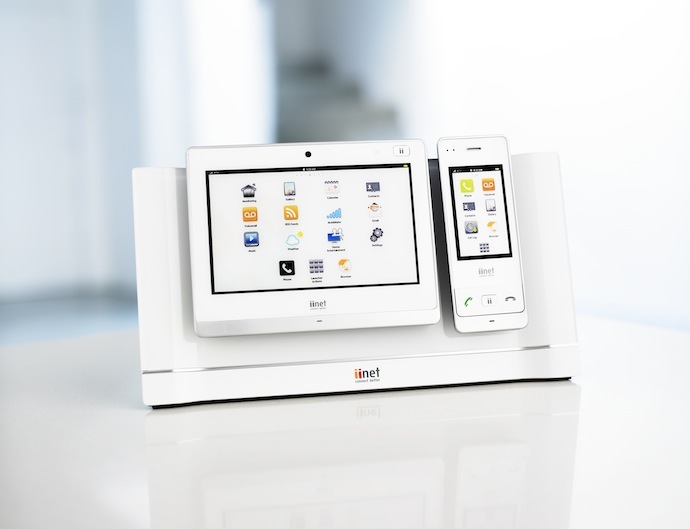 For example, with the iiNet application, members from the Whirlpool community have created and provided their own applications and downloads to help manage traffic and track quotas. Speaking of smart applications, what is SmartLife and how is it related to Budii? SmartLife is an exclusive software feature that is coming soon to Budii. It is designed to help customers monitor and manage home electricity consumption, automation and monitoring. The software was initially conceived by Curtin University and then further developed through our strong collaborative partnership with the CSIRO (Commonwealth Scientific and Industrial Research Organisation) in Australia. Their background and experience in wireless technology and security was invaluable to our development. It seems like we’re entering an era of ‘power to the people’ when it comes to tracking personal data. There’s been an explosion in the popularity of apps that reveal our daily habits and then help us to adjust our behavior accordingly, for the better. Do you think people will be excited about the potential of Budii combined with SmartLife? Absolutely. We really wanted to create a smarter approach to home management – in particular being able to integrate all facets of technology at home. And one of the key issues at the moment is energy consumption. Using tools like SmartLife we’ll soon be able to educate ourselves about our own energy usage patterns at home. Not only can this reduce costs by just introducing a few small changes, but we also see customers having a lot of fun with this information. Where does all that electricity go? Which appliance uses more power, a hair dryer or an electric shaver? Ultimately, whether it’s energy tracking, home automation or monitoring we want to provide customers with the opportunity to tailor technology at home according to their own needs. This is the beginning of truly “smart homes” and we’re very excited about bringing that to our customers. Thanks for your time Stephen. I’m sure everyone is looking forward to all that Budii has to offer! One last question, or more of a request really… how about making a limited edition red and orange version Budii? For all the long-time iiNet fans? For the moment Budii will only be available in white – but we’ll never say never! For more information on Budii please visit the links below. And don’t forget to enter our competition to win a Budii. what happens to “bob”.does he become obsolete? BoB2 is also ready for NBN, Fibre and iiNet TV with Fetch. That’s all very well, but where does it leave us clients that happen to be connected to an exchange that does not have Iinet dslams installed? Or no likelihood in the foreseeable future of NBN or anything remotely like it.